T-Mobile’s REVVL family of own-brand smartphones is growing. 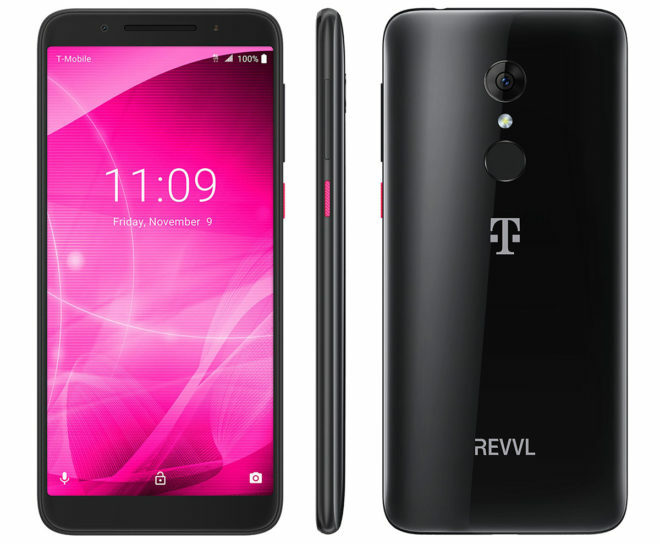 The T-Mobile REVVL 2 and REVVL 2 Plus are now official, and they’re launching on November 16. The REVVL 2 will be priced at $0 down and $7 per month for 24 months on an Equipment Installment Plan, or $168 full retail. Meanwhile, the REVVL 2 Plus will cost $0 down and $10.50 per month for 24 months on EIP, or $252 full retail. 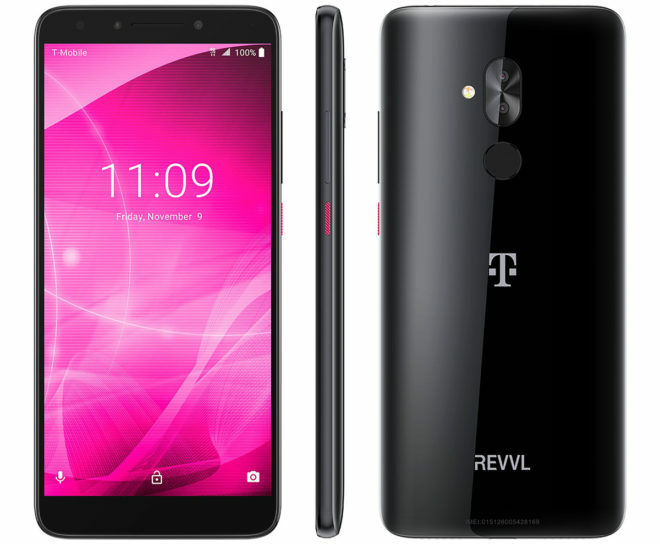 Both new REVVL phones will be available for even less thanks to a limited time T-Mobile deal. Customers who add a line will be able to get the REVVL 2 for free after 24 monthly bill credits, or they can get the REVVL 2 Plus for $3.50 per month after 24 monthly bill credits. When it comes to specs, one of the biggest features of both phones is their 600MHz LTE (LTE Band 71) support. That’s something that last year’s REVVL and REVVL Plus lacked, and so it’s good that the feature was squeezed into both phones. T-Mo’s 600MHz LTE coverage reaches farther and is better at penetrating buildings compared to mid-band LTE, and it’s now available in more than 1,500 cities and towns across the country. The T-Mobile REVVL 2 runs Android 8.1 Oreo on a 5.5-inch 1440×720 display. It’s got a 13MP rear camera with LED flash, an 8MP front-facing camera for your selfies, and 32GB of built-in storage for saving your photos, with a microSD slot you can add more storage. Other notable specs include a 1.5GHz quad-core MediaTek MT6739 processor, 2GB of RAM, IP52 water and dust resistance, facial recognition, a fingerprint reader, and a 3000mAh battery. The REVVL 2 is an LTE Cat 4 phone with support for LTE Bands 2, 4, 5, 7, 12, 66, and 71. As you might’ve guessed from the “Plus” in its name, the REVVL 2 Plus is a step up in terms of specs from the standard REVVL 2. The REVVL 2 Plus is packing a 6-inch 2160×1080 display, 2.5GHz octa-core processor, 3GB of RAM, and 32GB of built-in storage. There’s a dual rear camera setup with 12MP and 2MP sensors, and around on the front of the phone is an 8MP front-facing camera with LED flash. Powering the whole package is a 4000mAh battery. Like the standard REVVL 2, the REVVL 2 Plus offers facial recognition and a fingerprint reader, and it’s IP52-rated for dust and water resistance. Rounding things out for this LTE Cat 6 phone is its support for LTE Bands 2, 4, 5, 7, 12, 66, and 71, and its Android 8.1 Oreo software that comes preloaded. T-Mobile launched the REVVL last year with a focus on affordability, and now it’s doing the same thing with the REVVL 2 and REVVL 2 Plus. Neither phone has high-end specs, but that makes sense considering their price tags. The REVVL 2 Plus is an interesting device thanks to its 6-inch FHD+ display, dual rear cameras, and large 4000mAh battery, all for around $250. What do you think of T-Mobile’s REVVL 2 and REVVL 2 Plus? And where are the T-Mo Black Friday sales? Probably Alcatel again, they did the Revvl, not sure about the Revvl Plus. My Mom has the Revvl that was $50 last Cyber Monday 2017, it’s been fine, every once in a while the mobile data gets disabled for some reason and she just has to go in and enable it again but for $50, can’t complain, crazy they’re still asking $150 for that Revvl. These new ones are priced a little high I think, they probably do that to not drop the price of the 1st gen ones. I guess you wanted to say TCL Corp again. Alcatel it’s the brand name and TCL Corp it’s the manufacturer. Recently, TCL Corp acquired the brand Palm too. Also, TCL Corp it’s making the devices for BlackBerry. Well they lower the price on Revvl+awhile back,to $175. Your was lucky with hers,go Tmo read the reviews about that phone. Bad reviews. T-Mobile hasn’t said anything officially, but the FCC entries for both phones suggest that they’re made by Alcatel. Too bad the G6 doesn’t do band 71 and NFC, would be best deal of these coupla years by far. You would be infinitely happier with the Moto G6, it actually works. Yeah, for sure, in this price range you’re way better off getting a Moto G6 or a Moto X4 which is $230 right now, G6 is $185 on the Best Buy deal, even the E5 Play from July 2018 for $130 would probably be better than these. These Add A Line deals are starting to get me sick. I sure hope Black Friday deals T-Mobile could truly BE Uncarrier and have BOGO DEALS without AAL. Specially for those customers that cant AAL do to being maxed out on lines. wonderful- tmobile is planning future phones without even sprint bands, which are normally present on most modern phones until tmobile castrates them. WHY do they keep doing this ? If you don’t have as many bands the antennas can be optimized to the specific remaining bands better. This can increase range and even speed. Garbage both. Or, would make phone of the year in 2016-7. I had the misfortune of owning a Revvl Plus. On paper the specs were decidedly reasonably midrange. In reality, the phone was unusable. It was incapable of doing more than one thing at a time (such as sending a txt and answering the phone) because it would black the screen rendering it unanswerable. There was so much wrong with it I would need to be typing for an hour. I have never seen a device have a lower rating on t-mo’s website. I hope t-mo has learned something from the debacle of the Revvl Plus, but as for me, I would avoid this like the plague. I think they should give this for free with ANY trade in. I have some old phones without even band 12 on my plan. That way I get a better *maybe) phone and Tmobile can move away from old architecture faster. Win win. These should be free if you add a line, otherwise forget about it. I have friend who has the Revvl 1,he can’t wait to get rid of it. Don’t understand Tmo,they eol Z-play,V-30,tell Coolpad to come up new model,of both of these phones? If you are going to call a phone plus anything it should have at least 64 gigs,not 32. The moto that Tmo has now is better deal than either of these phones,smh. Coolpad making the Plus again or Alcatel? Does it really matter? They are both horrible.